We’d love your help. 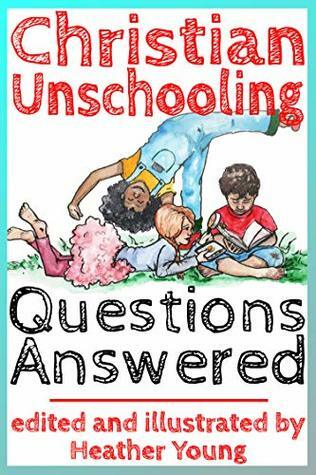 Let us know what’s wrong with this preview of Christian Unschooling Questions Answered by Heather Young. What is radical unschooling and how does that affect parenting decisions? Packed with genuine, real-world answers to hard questions, this new books answers these and many more questions in a chatty Q&A format with answers from multiple veteran unschoolers. These questions and answers were compiled over the years from real conversations at the Christian Unschooling website and Facebook group and are filled with encouragement for those who feel God may be leading them down a less-traveled path of gentleness and respect for their children’s education and lives. To ask other readers questions about Christian Unschooling Questions Answered, please sign up.